Priscilla Long is author of Where the Sun Never Shines: a History of America’s Bloody Coal Industry (Paragon House, 1989). 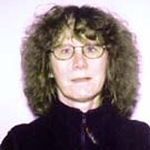 She serves as Senior Editor of the online encyclopedia of Washington state history, www.historylink.org. She is an independent scholar and literary writer with numerous publications appearing in anthologies and in journals such as The American Scholar, Ontario Review, The Southern Review, North Dakota Quarterly, and American Letters and Commentary. Her honors include a history fellowship from Harvard University’s Bunting Institute and Seattle and Los Angeles Arts Commission awards. She holds an MFA from the University of Washington, and teaches writing at UW Extension and elsewhere.